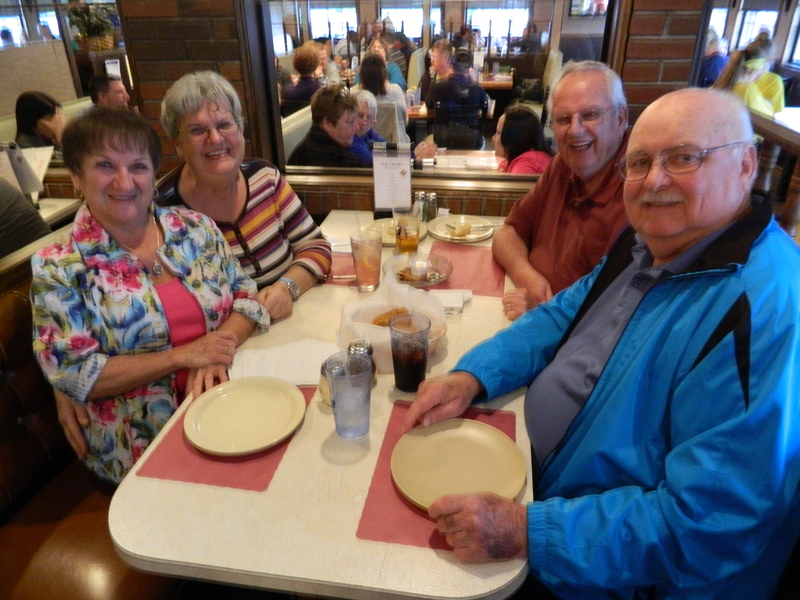 Liz Scott and longtime family friend Ann Walsh with James, Maggie and Ariana Nikolis (siblings) and Juliana McMahon May 5, 2017 at Jim’s Pizza in Windsor, Connecticut. Courtesy photo Alexandra Flynn Scott – Jan. 18, 1996-Aug. 1, 2004 – founder of Alex’s Lemonade Stand. 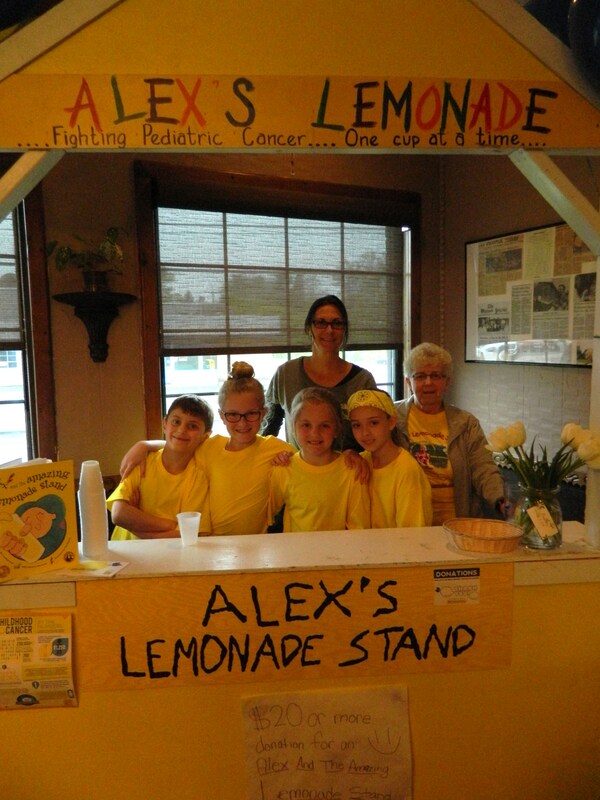 Thanks to a little girl with a caring heart Alex’s Lemonade Stand was founded. A bouquet of flowers in hand having been crowned an honorary Shad Derby Princess, it is hard to imagine more than ten years have passed since that little girl – Alexandra Flynn Scott – battling neuroblastoma was surrounded on the Town Green in Windsor, Connecticut by the Shad Derby Queen and her court. 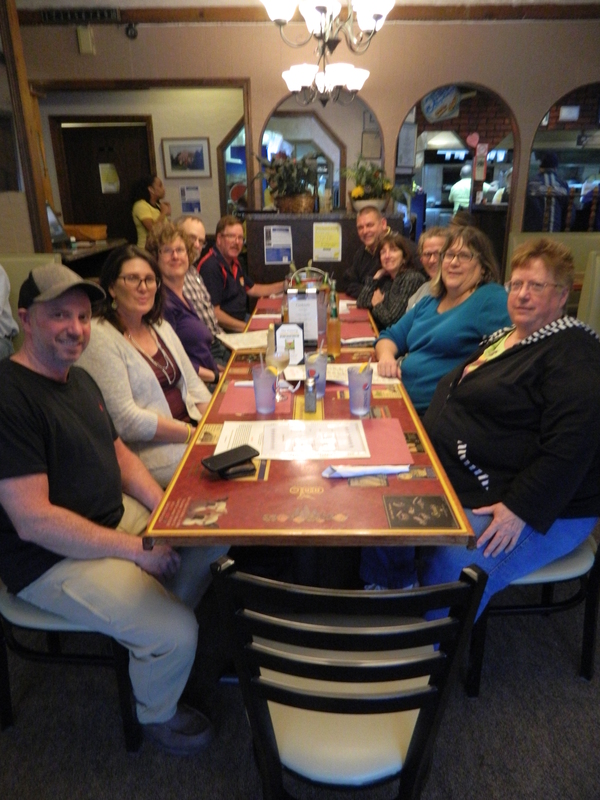 On May 5, once again the Windsor community – hometown to Alex’s parents Liz Flynn Scott and Jay Scott – turned out to surround the Scott & Flynn families with love and support for a fundraiser at Jim’s Pizza. 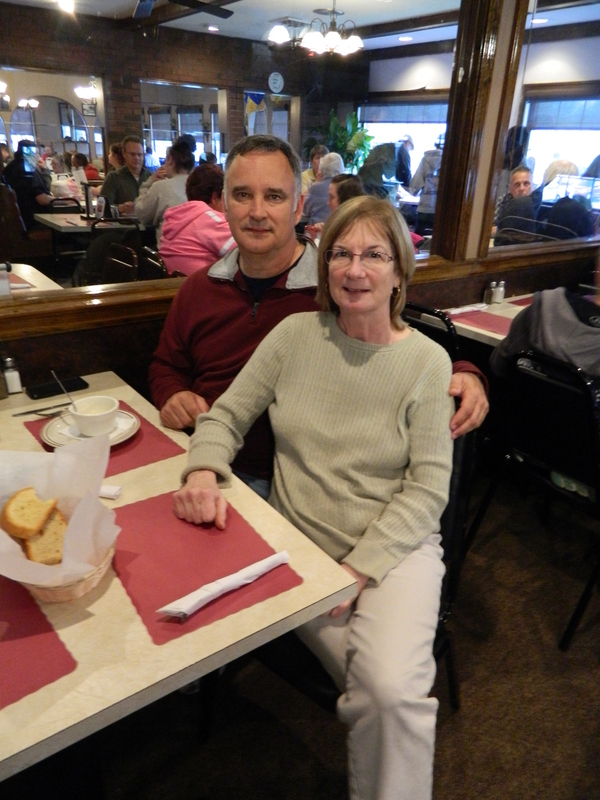 Although Liz and Jay Scott relocated to Pennsylvania to seek advanced treatment for Alex, they have maintained strong ties to Windsor where family members and friends still reside. 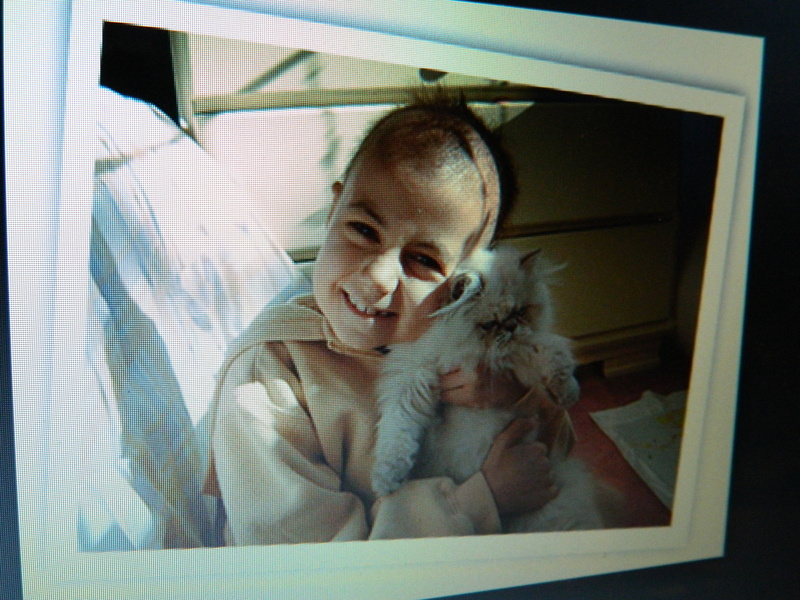 Born on January 18, 1996, Alex lost her fight against childhood cancer on August 1, 2004. “It’s amazing,” Liz Scott said of the turnout. Liz, her husband and their sons Patrick, Eddie and Joey have carried on with Alex’s Lemonade Stand on behalf of Alex who became known globally as “the lemonade girl.” Alex was just four years old and dealing with her own illness when she decided she wanted to raise money to help other children stricken with cancer. So she set up a lemonade stand in front of her Connecticut home. Since 2005 the foundation has raised more than $140 million for pediatric cancer, funding research projects in “129 top hospitals” in the United States and Canada, according to the ALSF website. At the May 5 fundraiser $3,100 was said to have been raised. “We’re always fundraising in new ways,” noted Liz, pointing to the new Kick It pledges campaign. Alex’s grandfather Patrick Scott (front right) with Ericka Parker and Bob and Sandra Gustafson. Among the group Jim Walsh, Sharon Pepin, Laurie Brousseau, Pat Hustus, Eric & Kelley Pearson, Dave & Lisa Neilson, Bill & Michelle Walsh … Nearby Michael and Jacki Walsh. 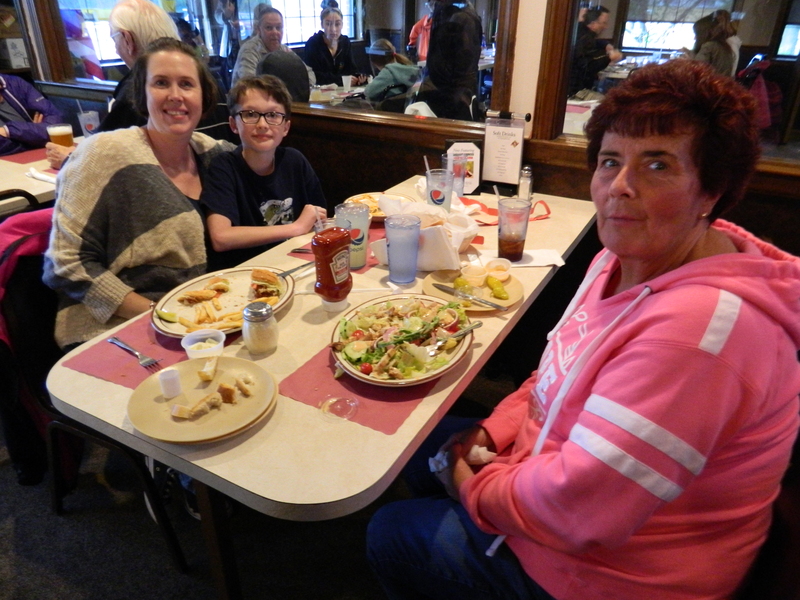 Debbie Samson (right) with her daughter Stacey and grandson Haydes. 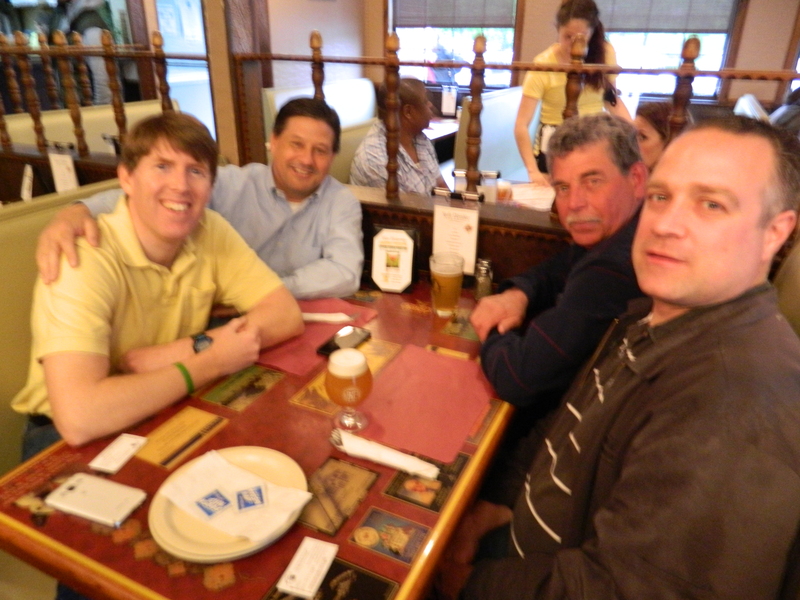 Suffield Economic Development Director Patrick McMahon grew up in Windsor (left front), shown with Windsor Town Councilmen Kenny Wilkos and Jim Govoni, and co-founder of Back East Brewing, Tony Karlowicz (front right). “This is fantastic. There are a lot of new faces,” said Patrick Scott, Alex’s grandfather. 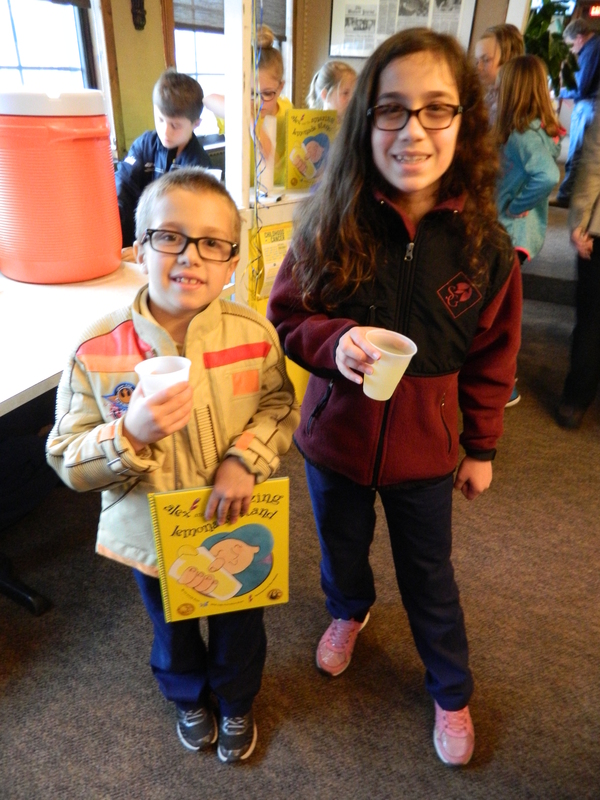 “I think the event was absolutely awesome, one of Windsor’s community and family efforts,” said Ann Walsh, a longtime friend of the Scott and Flynn families, and among the original Alex’s Lemonade Stand volunteers. Patrick McMahon & a company of volunteers. Walsh added that Liz and Jay Scott are to be commended for carrying on the torch for Alex. Walsh, who lost her husband Bill to cancer, said she and Liz Scott share a philosophy about grieving. That philosophy being – there are moments for tears but as time marches on tears will do nothing, whereas action can make a difference. “I believe in action,” said Walsh. Debbie Samson who recently helped organize a fundraiser for a local police K9 that needed surgery, attended with her daughter and grandson. She said she wanted to support the cause and had special praise for the community efforts of Ann Walsh. “She is a community treasure,” said Samson. 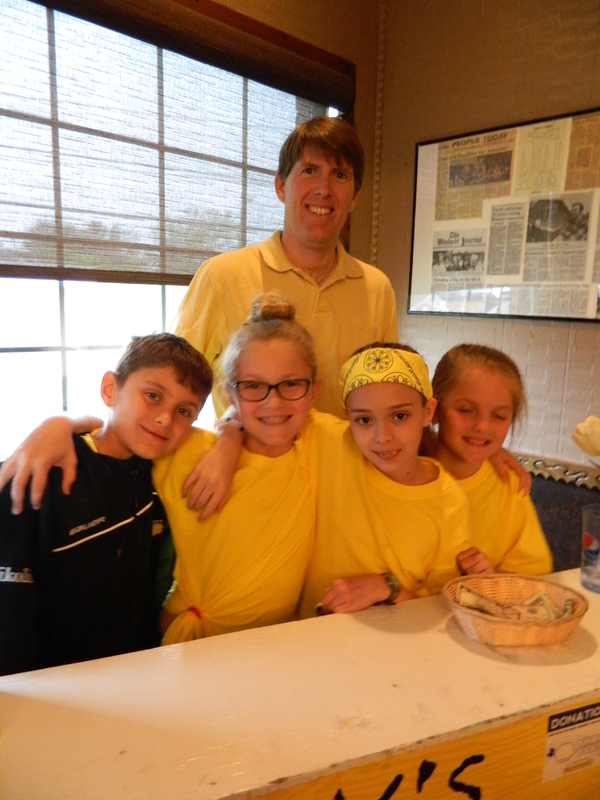 The Alex’s Lemonade Stand fundraiser is expected to become an annual event at Jim’s Pizza.